Tlaib blasted the Senate legislation initiated by Senator Marco Rubio and Senator James Risch, which protects states that ban Israel boycotts. In their letter to Pelosi, rabbis Marvin Hier and Abraham Cooper of the Simon Wiesenthal Center also lambasted Tlaib for endorsing a one-state solution to the Israeli-Palestinian conflict, an outcome that would spell the end of the Jewish state by demographic means and one that has never been supported by the U.S.
Hier and Cooper also took Minnesota Democrat Omar to task for defending an earlier tweet calling Israel “evil” and saying she couldn’t understand why American Jews would be upset by such rhetoric. 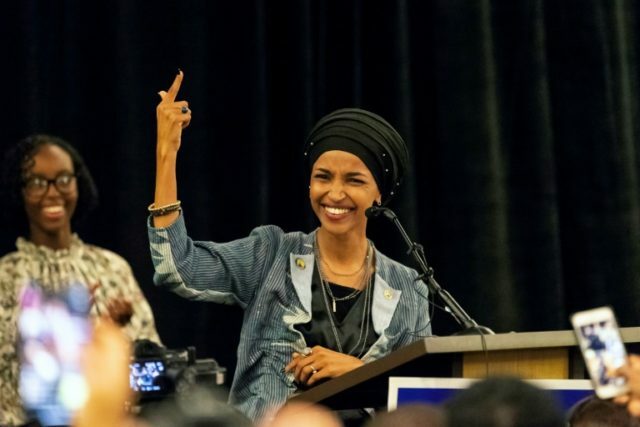 “Those unfortunate words were the only words I could think about expressing at that moment,” Omar told CNN’s Christiane Amanpour in an interview aired last week.